Which GroupMail Newsletter Edition Should You Get? One of the recurring questions we get from people around the world who are interested in our email newsletter software is what edition they should choose. 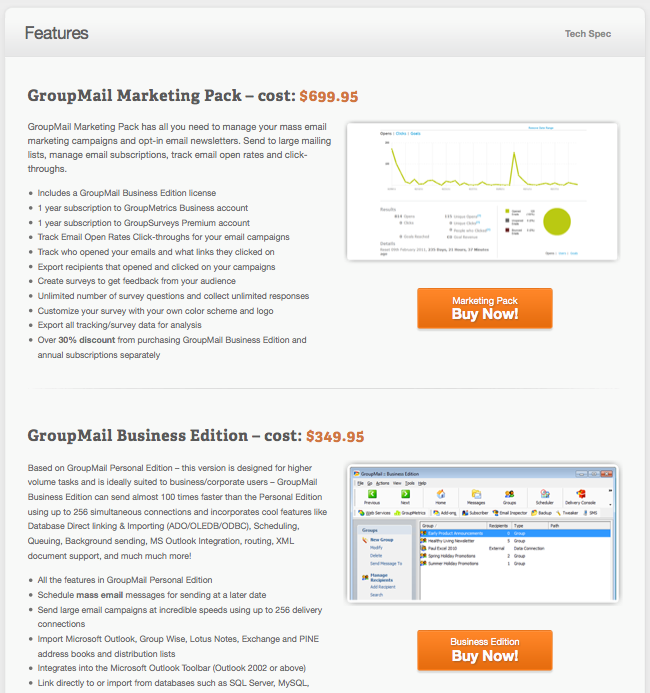 We offer a range of GroupMail Editions to respond to all needs and budgets — from the GroupMail Lite Edition to the comprehensive GroupMail Marketing Pack. Today, we unleashed our new GroupMail Features page to provide additional clarity about what each GroupMail Edition includes. We hope that it helps you to pick the GroupMail Edition that is just right for you!